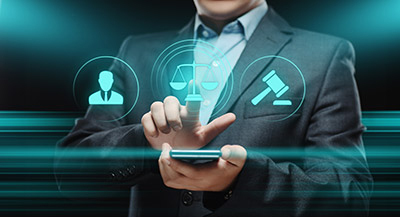 Law firms are experiencing the stress of a competitive environment, making technological adoption a must in today’s market. From global clients to the need for quicker results, innovative law firms and legal departments need to cope up with the expansion of software in today’s market. Creating an environment that is both cost-effective and can maintain the needs of the clients is an essential part of accomplishing a successful legal practice. ESKA® IDBARA is a legal case management system that allows you to easily define your clients and consultation services provided to them. It functions as a comprehensive and easy-to-use system that handles all activities in law firms and legal departments. This system maintains a detailed profile of clients, including their basic information, contract management and financial invoices and payments. ESKA IDBARA processes all legal case activities, based on your own specific set of rules, customized for your specific needs. Administer litigation services: a cases’ general information, documents, court hearings and petty expenses. Define case classifications and flow according to country’s local law (steps, legal durations and more).